The annual Encounter Series will continue to be a major attraction in South African mountain-biking after Liberty renewed their sponsorship for 2019. The series includes three multi-stage races under the ASG Events banner, getting under way with the seven-stage TransCape journey from George to Franschhoek in February. 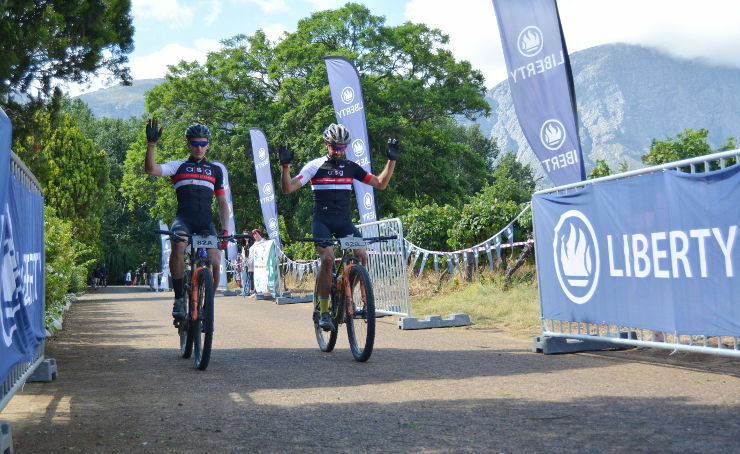 The Liberty TransCape MTB Encounter, powered by Volvo, came on board for the first time this year, complementing the three-day Winelands and Waterberg events. Following a route of 591km from George to Franschhoek in the Western Cape, the TransCape combines a proper mountain-biking challenge with a luxurious experience off the bike. “The whole focus is on the high-end journey,” said Fritz Pienaar of ASG Events. He added that the five-star offering was also a feature of the three-day Winelands and Waterberg Encounters. The Winelands Encounter takes place in the Western Cape from April 12 to 14, while the Waterberg will be held near Bela-Bela in Limpopo Province from June 7 to 9.